Tsuumi Dance Theatre´s piece at Alexander theatre, Helsinki, explores Finnish mental landscape. The theme of the performance is the illusion of Finland, the Finnish fairyland. Matti Paloniemi is the choreographer in the piece witch tells about a band called Kake. The band is entranced of 80´s synthesizer sounds and schlager. The band has huge dreams and they are planning a massive world tour, but different dreams of the band members and unrealized hopes are bringing tensions in the band’s journey. The performance is interesting mixture of dance, music and theatre. 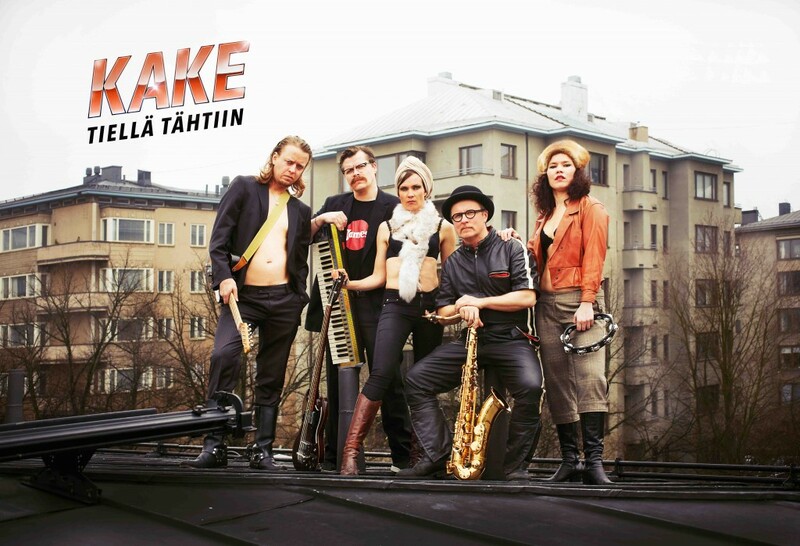 All performers are dancing, singing, acting and playing in the Kake-band.